The Federal Government spends billions of dollars yearly to acquire professional services from businesses of all sizes. Opportunities for contracts with various federal agencies allow businesses to partner with the government and offer them different services. This way they grow, strengthen, and become very successful. Of course, a part of them! Being aware of the advantages that offer these types of contracts, many companies make every effort to meet the necessary requirements to become a contractor. There are many laws, regulations, and processes that businesses need to meet. The Government has designed this mechanism in a way to successfully fulfill its needs while helping businesses to become more successful by purchasing their services and supplies. From clothing buttons to heavy machinery and aircraft, everything is part of one of the groups of products or services that the government regularly requires from local businesses. 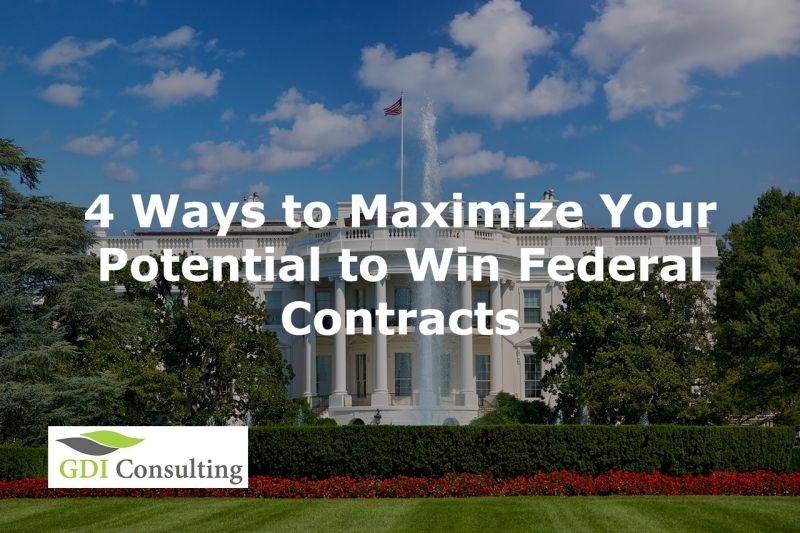 Below you can find three effective tips on how to become a federal contractor. How to Maximize Your Potential to Become a Government Contractor? From the moment you think about participating in the Federal Market, you need to have a dedicated, specialized team that will focus on increasing your chances to win that captured opportunity. A team of market researchers can help you find out which Federal agencies are procuring professional services that match yours. Establishing a marketing strategy from the very beginning will help you reach your target audience and develop successful initiatives. First of all, you need to understand what are the core values of your company, and how positioned you are to win that opportunity. Identify your weakness, and use the right resources to fill gaps (even with partners) that would help you beat other team solutions. Use different marketing channels to promote your brand, using traditional outbound or inbound methodologies. Make sure you understand all the risks; identify the ways to mitigate them; evaluate yourself against other competitors; question your solution based on a realistic approach to ensure it’s the winning one. General Services Administration was established to help government agencies negotiate the process. It has a specific program called GSA Scheduled Program. Its role is to simplify the purchasing process to achieve the best value for the Government agencies. There are many advantages for businesses that partner with GSA when competing for federal contracts. If you become an approved vendor on the GSA Schedule, you’ll secure an increased visibility and credibility for your business. Moreover, you can use the GSA Marketing Partnership, which is a free service offered by the Office of Marketing and Business Development. Every effort to compete in a successful way is important, especially when it comes to proposal writing. The result of your hard work will be demonstrated in your proposal. This process is the final step of the process, and of great importance. Hiring an experienced firm with a demonstrated expertise in writing winning proposals for countless contractors through years is essential. The proposal must be written based on the requirements specified in the RFP and compliant to all the specifications. It should be a product of excessive work, comprehensive research, a great team of subject matter experts, and be able to convey your core message and value in the most effective way!